Our customers deserve our full attention. We help your business to grow both internally as well as externally. With the Habit Of Improvement Methodology, we prepare your organisation for sustainable growth and the transition to a collaborative culture where knowledge can flow.. The successful transfer of knowledge between organizational units is critical for a number of organizational processes and performance outcomes. 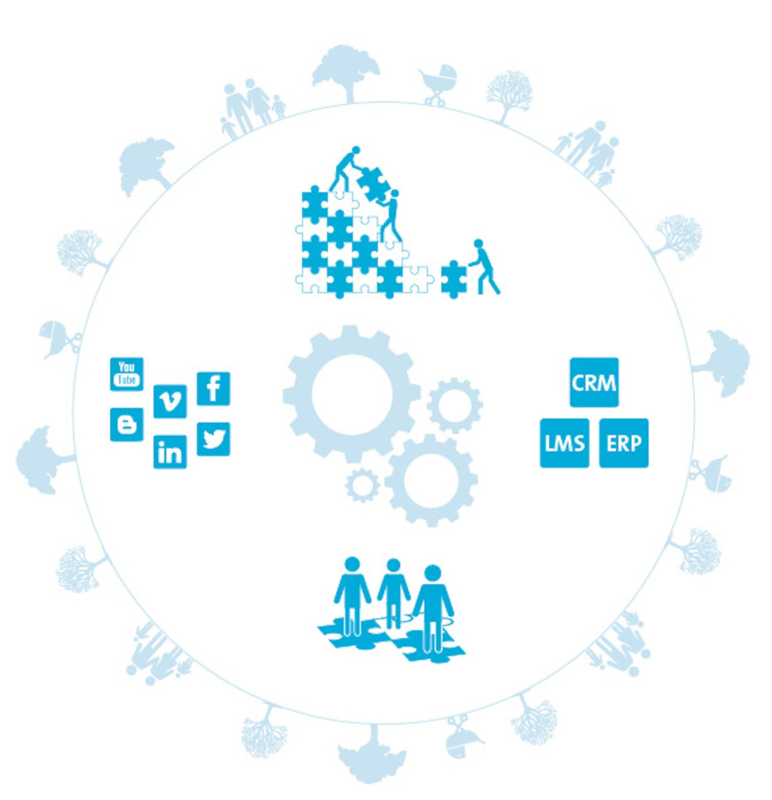 Organizations should strive to distribute knowledge within their organizations using an internal social and learning ecoystem. Learnscapes bridging (regional)departments, corporate hierarchy and formal roles with one purpose: the flow of knowledge through the organization. We help you to implement Collaboration Platforms, Learnscapes, Communities and Coaching Platforms. If you want to succeed now and tomorrow it is important to understand how to introduce those Enterprise Social Network tools and align social media. By profiling the needed learning behaviours and culture of your organization, teams, leadership and individual members, we can closely identify problem areas and probable causes. From here we can define the means to change and advise on the best combination of learnings to achieve desired results, whether that be through our tailored workshops, coaching for your leadership on specific issues or on the change program itself, identifying the right specialist training provider for your specific needs or sharing our knowledge in an advisory role. Preparing an organisation for 2030 means making sure we are ready not just to tackle future challenges but to pre-empt them. This involves a major investment of time, energy and resources to ensure that we have the right people in place, with the right skill set to ensure performance levels in an unpredictable environment. Habit of Improvement works with clients to create strong structures for talent development. We carefully examine why and how our clients should invest their resources and we take a long-term view of the results. We use assessments and ongoing learning techniques that provide the means to measure progress and results.